PRICE REDUCED! Selling Restaurants presents this restaurant honored by not only their extraordinary list of loyal customers, but also by Inland Empire news papers and magazines! 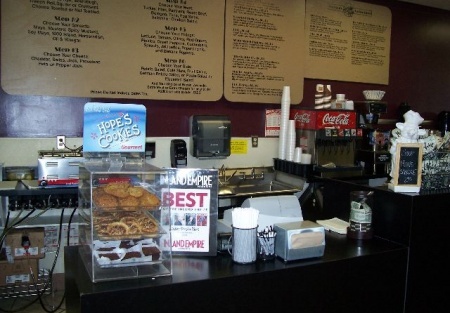 Winner of the "Reader's Choice Award" in 2006 by the Sun Telegram, #1 in 2006 by the Press Telegram, and voted #1 Deli for 2007 and 2008 by the Inland Empire Magazine. Not just your ordinary Deli! Now here is your chance to own this "JEWEL" of the I.E. This deli is located on the main street of this historic down town area. Offering 1,488 sq. ft. of space, with inside seating for 30, and front patio seating for 12. Base rent is $3,230 with a CAM of only $322! That,s only $2.29 per sq. ft.!